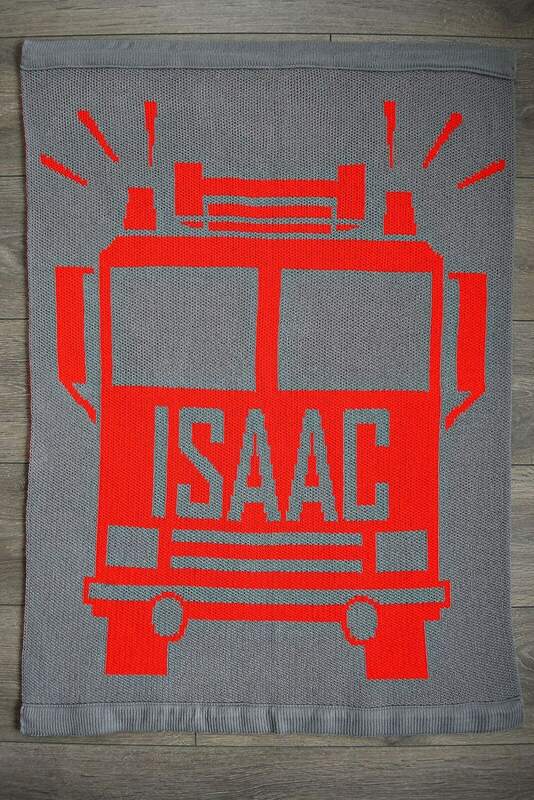 The Firetruck custom knit blanket can be personalized with the name of any baby or child. The design includes a modern version of the iconic firetruck. Photos shown are examples. Colours may not appear exactly as displayed on your screen. 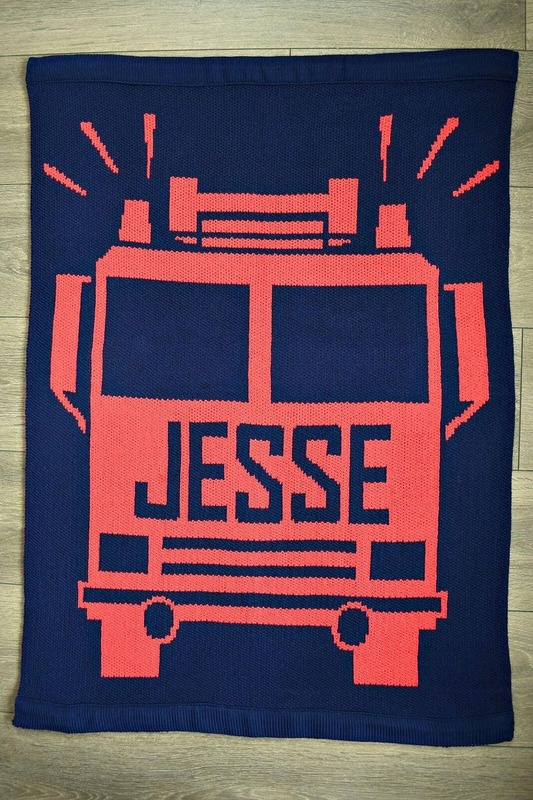 To showcase the two different red options, please note that the “Isaac” firetruck blanket is knit with bright red and the “Jesse” firetruck blanket is knit with light red. Please be in touch if you have any questions or want to explore rush order options (please let us know your time frame). 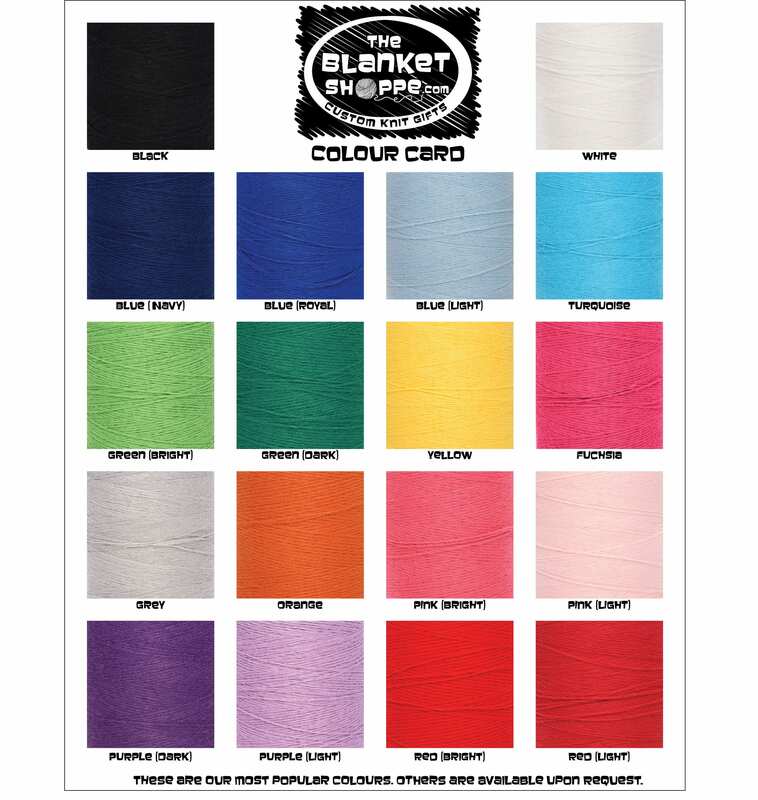 The Blanket Shoppe looks forward to designing your custom knit blanket.